Field service, by definition, requires workers to spend the majority of their day outside of immediate supervision. The challenges of managing a remote workforce are present for both large and small field service organizations alike. In fact, loss of direct observational control is one reason companies in all industries balk at allowing employees to work remotely, even when it economically benefits both parties. Businesses have to have some way of making sure remote workers are operating on-target and doing the critical work assigned. Luckily, field service management systems anticipate this challenge and include features that help companies effectively manage remote workers. See where your technicians are at all times for easy scheduling and rerouting. One core functionality of these systems is the ability to track project progress. 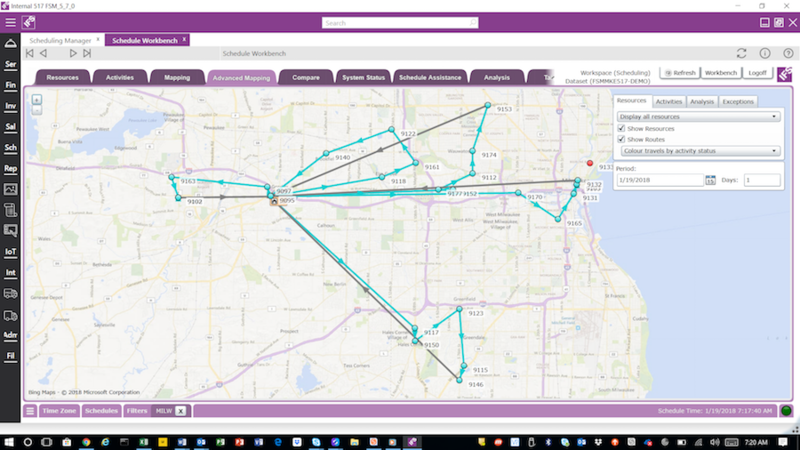 In addition to seeing hours in the field, office staff can use field worker software to see where their techs are at in a certain project and get a rough estimate of when they’ll be done. Some systems are so advanced, they can read patterns in your field employees’ task history to estimate when exactly a certain type of job will be done with up-to-the-minute accuracy. FSM software also provides GPS for tracking field personnel, so you can rest assured they’re in the right location at the right time. Without any kind of FSM software in place, field techs will typically document jobs on their own and will relay the information once back at the office.  Phone calls are also often used for sign-offs from management or for clarification. However, this “system” can lead to many inefficiencies. For instance, just consider the amount of time it takes to decipher poor handwriting. Multiply that time by how many field techs you have and you’ll quickly understand how not investing in an FSM system isn’t saving you any resources. With an FSM system, your techs have a multitude of ways of communicating with office staff all in one application. This allows for the most efficient method of communication at any time, while maintaining all your data in one location. If a quick text to the office is the best way to reach the office, FSM solutions provide instant messaging which can be stored for later access and auditing. Mobile FSM apps allow techs to take exhaustive documentation of jobs and work sites. This type of software also includes note-taking and storage capabilities which can be accessed later by office staff. This includes photo, video, audio and note-capture functionality. This way, any on-the-job issues can be backed up by your field service staff’s documentation. FSM also provides alerts to your techs when they need to move onto the next job. All these features are centralized into one application, minimizing your field staff’s need to multitask and switch between systems or devices. Another commonly reported difficulty is making sure business processes happen in a timely manner. Field service operations heavily rely on customer satisfaction as an indicator of success. As such, it’s incredibly important to prevent downtime and disruptions as much as possible. As mentioned above, the streamlined communication FSM systems bring allows for more efficient processes all around. This minimizes errors in correspondence, which in turn reduces errors in jobs that may disrupt a technician’s day. But sometimes unexpected downtime is unavoidable, no matter how sophisticated your software system is. In these cases, FSM software is still incredibly helpful. Today’s FSM software allows the customer to be more engaged than ever. Customers can choose to receive alerts when their technician is arriving and can send feedback right through the app. If timely service isn’t achievable, it’s important to keep your clients in the loop. FSM can also reduce downtime that affects your business directly by generating invoices automatically. This ensures as little delay as possible during the payment process. Managing field staff is a complex task with many variables. Sometimes you have great days where all your technicians are able to complete their tasks in the time allotted and stick to the schedule. But then there are days where you have techs calling in sick, vehicles breaking down or jobs that run surprisingly long. Unexpected events such as these can render your meticulously put-together schedule null and void. But staffing management software makes it easy to compensate. FSM software frequently provides an easy drag-and-drop interface to quickly make changes to an existing schedule. Many systems allow you to schedule field staff by skill level and location. This makes finding a last minute replacement easier than it’s ever been before. If you need to replace two technicians but only have one tech qualified to do either job, you can also schedule by customer priority. Simply put, field staff tracking software won’t be helpful it’s not intuitive. Poorly designed interfaces lead to massive frustration on the part of individual workers. This can either lead to low adoption rates, wherein your field staff choose to not utilize the technology you just invested in, or they may try to adopt it and fail, leading to poor documentation. It’s also important to think about how field workers present themselves to customers when using the field management tool. Will they be fiddling around with their device trying to access key information? Or will a well-designed, user-friendly interface make each employee seem like a pro in his or her field? 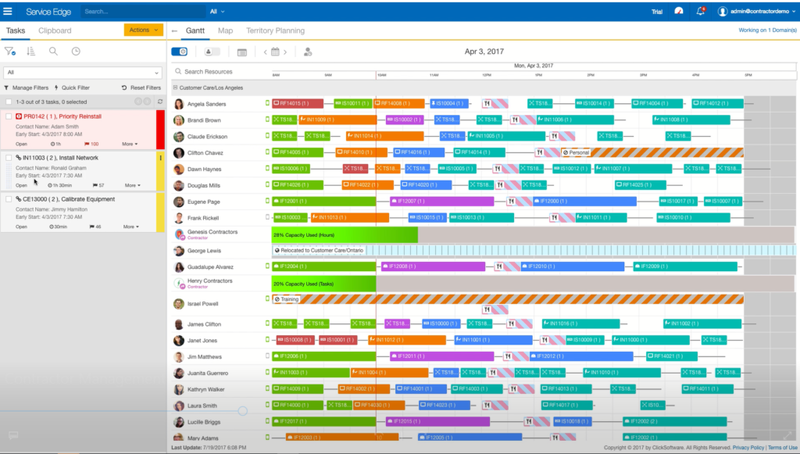 Colorful Gantt charts make it easier for office workers to understand schedules. No matter how much you believe in a product, you need to make sure your field staff have all the resources they need to learn and implement a new system. In order to do this, you need to fully understand the software you plan on using and how exactly end users will be affected. See our field service software buyer’s guide for a comprehensive list of things to consider while shopping for software. Understanding your system is the first step in anticipating issues during implementation. Field service is a unique type of business, able to meet the needs of customers beyond the confines of a traditional office. As a result, field worker management comes with a unique series of staff challenges. Fortunately, FSM software vendors specialize in creating technologies to solve these issues and to support your business overall. What other field service management challenges do you face while managing your field staff? How do you overcome these issues? We’d love to hear from you, so feel free to leave a comment below!